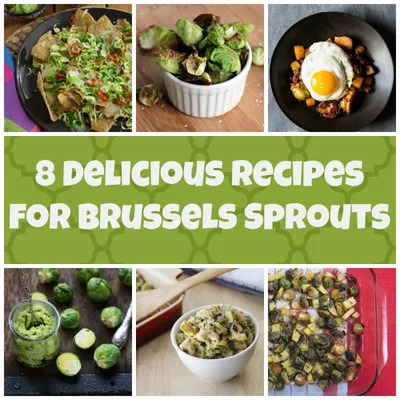 Brussels sprouts often get a bad rap and you may assume you won't like them, but these 8 easy, delicious recipes for sides and main dishes will definitely change your mind. Brussels sprouts often get a bad rap and you may assume you won't like them, but these tiny, green cabbages have so much flavor and good-for-you nutrients, they deserve a spot at the dinner table. Still need convincing? 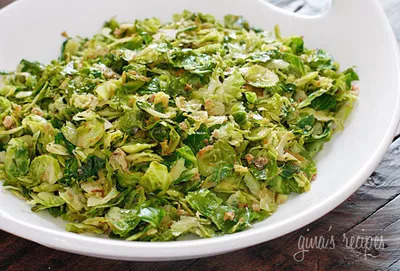 These 8 easy, delicious Brussels sprouts recipes for sides and main dishes will definitely change your mind. Love mac & cheese? Who doesn't! But you probably don’t love how it’s loaded with calories and fat and usually falling short on nutrients. This version is made with Brussels sprouts, spinach, Greek yogurt, reduced-fat cheddar, garlic, almond milk, and almond flour. How's that for an all-star cast? You will feel great about eating this mac & cheese. Here's a unique twist to your usual homemade pesto: try Brussels sprouts. Stir this pesto recipe into whole-wheat pasta, mix into scrambled eggs, or use it as a spread on a sandwich. 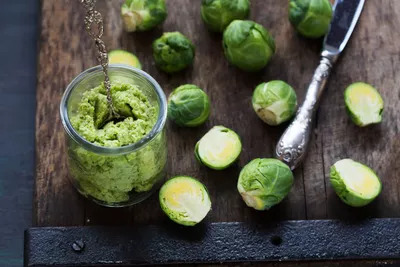 This Brussels Sprout Pesto is so versatile, you'll want to use it with everything! Brussels sprouts are so incredibly delicious when shredded and sautéed with garlic and pancetta. 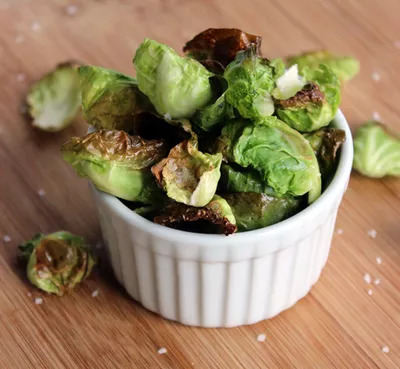 If you think you don't like Brussels sprouts, I challenge you to try these—I have a feeling you'll love them. 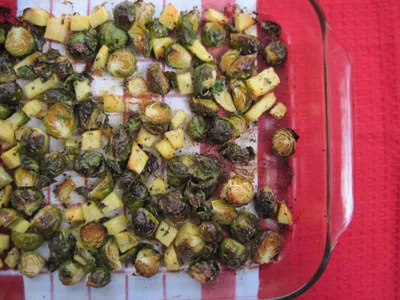 So simple yet so delicious, this recipe combines Brussels sprouts, rutabaga, and rosemary for a flavor you won't forget. Serve it as a side dish or savory snack when you're craving something salty. Want to serve some lighter fare for your next get-together? Look no further! 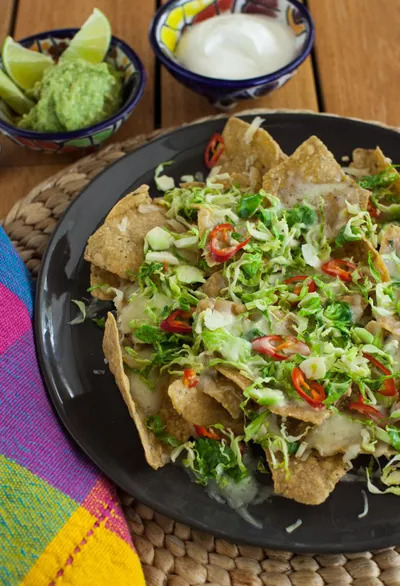 Try this healthy appetizer that sneaks Brussels sprouts into nachos. It's a nutritious and delicious party snack that's guaranteed to please any crowd! 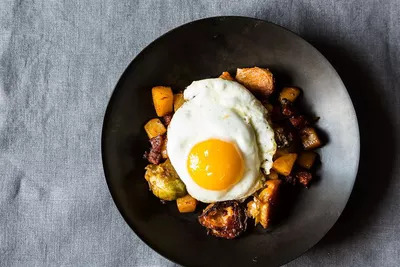 This dish brings together salty, spicy chorizo, caramelized Brussels sprouts, potato hash, a full-bodied lager, and eggs sunny-side up. How could you not love this meal? Warning: You may want to eat it for breakfast AND dinner. These crispy veggie chips made from roasted Brussels sprouts can be prepared in less than 10 minutes. In no time, you'll be munching on a vitamin-rich, low-calorie snack that you'll want to grab by the handful! Made with just three ingredients, this recipe might just become one of your go-to meals. 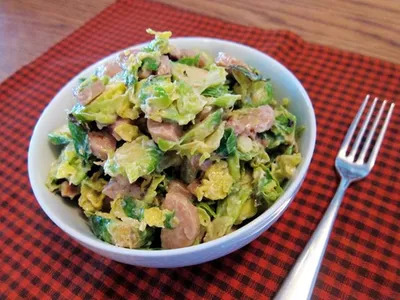 It's made with nutritious Brussels sprouts, low-calorie cheese, and protein-packed chicken sausage, so it's a healthy, nutritious, and satisfying meal that comes together in no time at all!